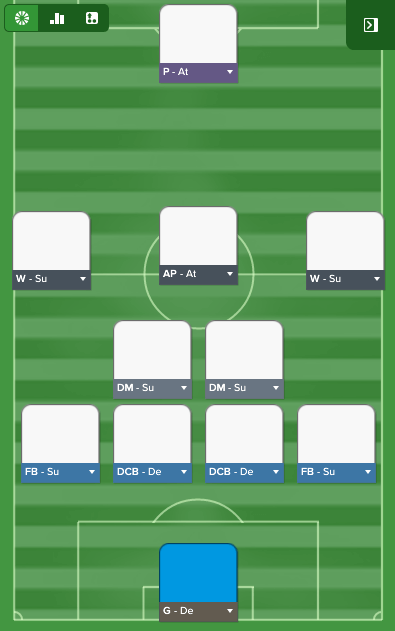 A set of 3 FM 2017 tactics for teams with a strong and versatile midfield, with players who can rotate easily between positions. 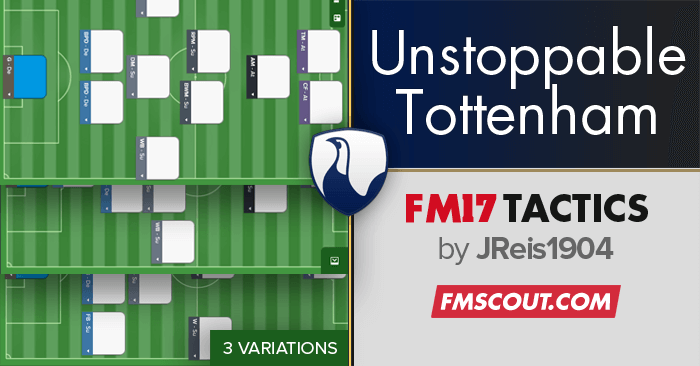 Tested with Tottenham. I used it mainly on "easy" matches where I had to score first to win the game, really offensive (+20 shots per game) but much less defensive than the 2nd one. 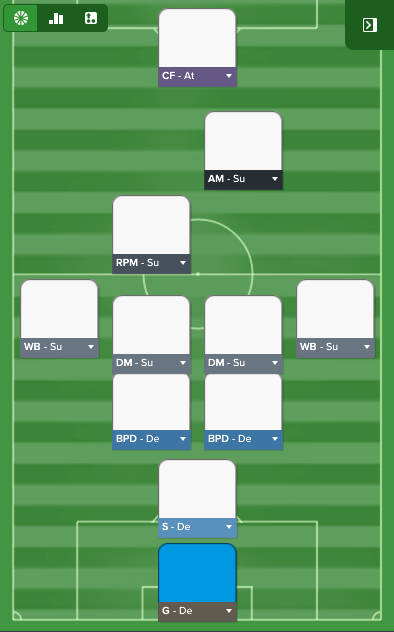 Really good tactic for teams with players who can do 4+ positions, like Tottenham. Focus on building the most physical Midfield you can so they can compensate the over-extended wing backs. 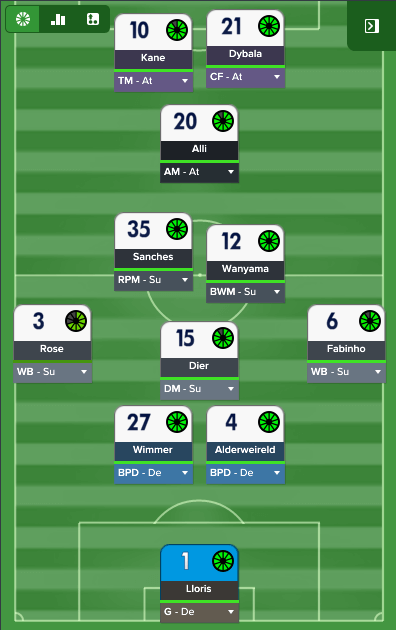 This one I used in balanced matches (top 5 teams from BPL or CL knockout rounds), really defensive but with a nice Midfield you will be able to control the game and score, without conceding many goals. 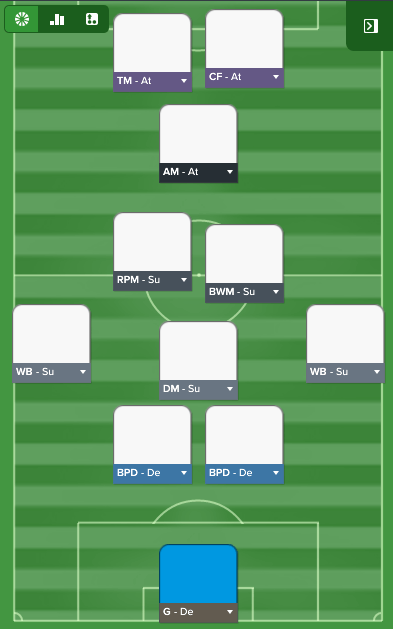 Last one is the bus tactic, used it when I really needed the point(s) so yeah, just defend and defend. 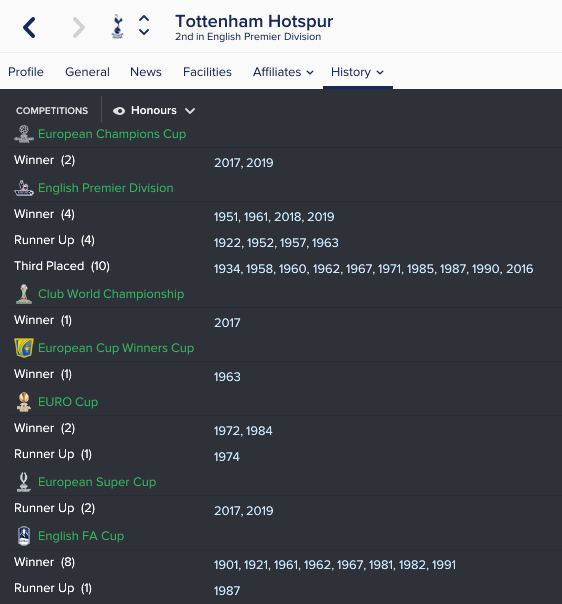 For last I'll leave you with my full team in the 4th Season, there are some examples of the players you can buy and you can keep (if you choose to play with Tottenham, which I highly recommend). Handcrafted in Symi, Hellas. Page created in 0.3 seconds.